On Friday 20th December Greg Hunt, the Federal Minister for the Environment, announced his conditional approval for Waratah Coal’s proposed Galilee Coal Project (aka China First). Despite the decision being dated 19th December, it was not announced on the department’s website until 6pm the following day, the Friday before Christmas. There was also not the usual accompanying Ministerial press release. In making this decision the Federal Government has joined with the Queensland State Government in giving the green light for the destruction of Bimblebox Nature Refuge. 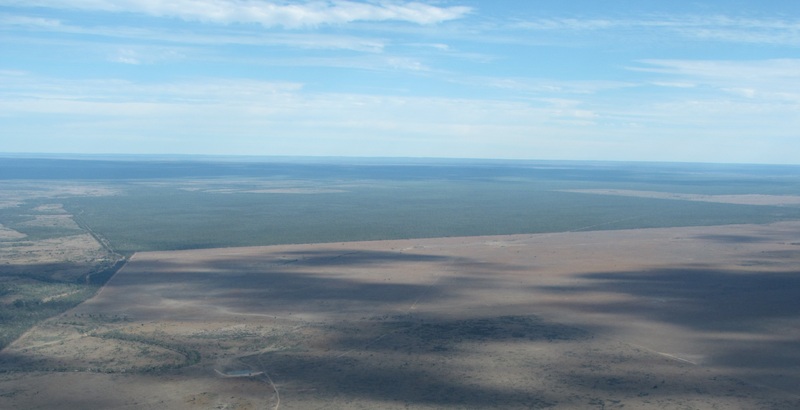 This is despite the Bimblebox landholders having entered binding conservation agreements with both levels of government more than ten years ago. If this mine goes ahead, it would represent the most significant impact experienced on a nature refuge to date. Hello everyone, this is Paola and I am part of the Bimblebox team. No words really to describe how I feel after this decision, so I decided to post 3 different items. Then a letter sent to the Morning Bulletin BY A WILD LIFE CARER. I have two Wedge tailed eagles in care at the moment. I will be making an announcement to the Media that I won’t be able to care for raptors anymore, and as far a I know I am the only one in this area with such a license, experience and facility to rehabilitate, these big birds. . . I can’t see the point when this government treats volunteers with such contempt and intent on destroying habitat, key stone species and eco systems vital for these birds survival. One pair of breeding Wedge Tailed Eagles needs at least 250 square kilometers of native terrain to be successful . . Once they start coming into towns and cities plucking fluffy pets from people’s back yards for food(because they may be hungry) and there is evidence that they are starting to do this . I suppose it will be just like the poor bats, Let’s not try and understand wildlife and their job, just do what the human race is good at persecute and kill. The news to mine Bimblebox has basically put the last nail in the coffin for wildlife in this country. People wanting to know what to do for injured Birds of Prey in this area can place them in a cardboard box (with air holes and a towel on the bottom) and drop them off to their local LNP office when opened. . It is no news to anyone how this government feels about animals, on the pretence that people come first, This only fools the uneducated and self centered. . Each bird cost me personally close to or more than a thousand dollars to rehabilitate, and I have been going with out and doing this for over 20 years. . Wildlife carers must be the only volunteers in Australia that use more than just their time but also their income to provide this community service, along with people looking after nature reserves. ‘‘Why not a coal mine?’. We humans have reinvented God a dozen times in the past 5000 years… Yet divinity is accessible, free and indisputable, all around for all time, every day for everyone – with just one simple law. Nature is sacred. Soil, water, air and all that lives within. To sacrifice a place that offers so much timeless priceless insight for 30 years-worth of dirty old coal is to lose that last hope for all of us. It is such a sad, disappointing, short sighted decision that both governments have made regarding this area. Nothing is protected and it seems anything can be “open for business”.